There will also be an update on the land that was donated to Osprey Village in the Okatie area and our plans for developing our "neighborhood with a purpose" there. Unable to attend but would like to donate to Osprey Village? Please also consider making a donation via the Heritage Classic Foundation's Champions Fore Charity program to benefit Osprey Village. Donation forms will be made available at the event by a representative from the Foundation who will explain how their 15% match boosts your donation's impact to help Osprey Village to achieve our goals. Many Thanks to all who participated in our Second Annual OVI Golf Tournament Fundraiser at Oldfield on October 28th! We had almost double the golfers from last year on a beautiful fall day in the Lowcountry. Along with getting to play on a wonderful local golf course, the Oldfield Club put on a great picnic supper for all of us as well – thanks to all for your support! Kristen and Kate enjoyed taking the beverage cart out to the golfers on the course at Oldfield! Then here's an important announcement for you: in partnership with Just Love Coffee, Osprey Village’s Porch Blend Coffee has launched! Over the course of the next year, they will be working hard to create an ongoing revenue stream for Osprey village. See the message below from Just Love Coffee for details on how to drink a special blend of coffee and support Osprey Village. Osprey Village's mission is all about people, porches, and potential. "We're excited to announce June's Cause Coffee benefits Osprey Village. We are in love with this organization's mission. 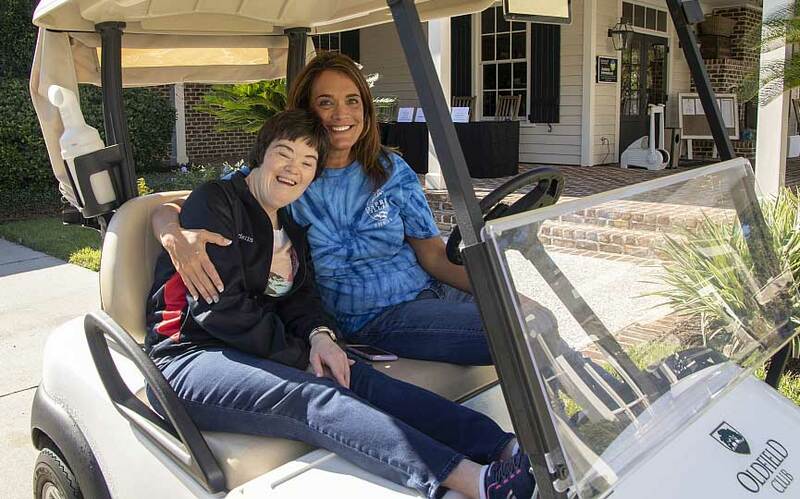 Based in the beautiful state of South Carolina, Osprey Village seeks to build a safe community for adults with developmental disabilities and helping them reach their fullest potential. Learn more about this organization by visiting their website. 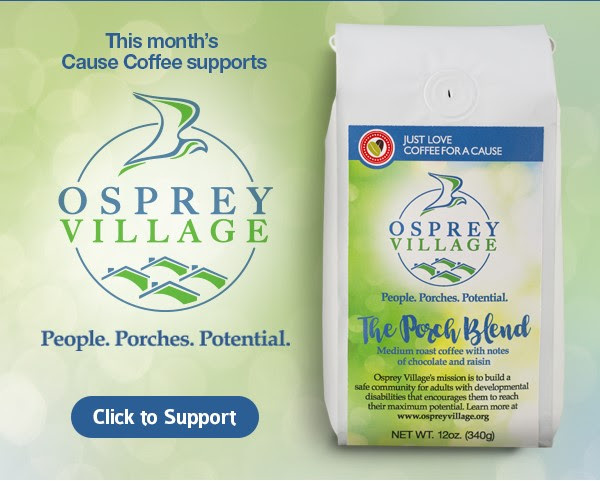 Then join us in supporting Osprey Village by purchasing a bag of The Porch Blend. For each bag sold during the month of June, we will donate $5 to Osprey Village. With your help, we'll reach our goal of 200 bags sold." Thanks to our great friends and supporters, our Pro Bowl Open event was a great success and raised over $20,000 for Osprey Village programs and services! EAT • DRINK • BOWL • HAVE A BALL! We invite you to support the innovative services and programs that Osprey Village is providing for Adults with Developmentally Disabilities in our community and learn more about our planned “Neighborhood with a Purpose” to be built in Okatie by becoming a sponsor – or just joining us for bowling, fun, food and drink, and a great silent auction! or Sign up to participate by clicking on the button below. Osprey Village is a 501(c)(3) charitable organization – Tax ID: 26-2967726. A portion of your contribution is tax deductible.